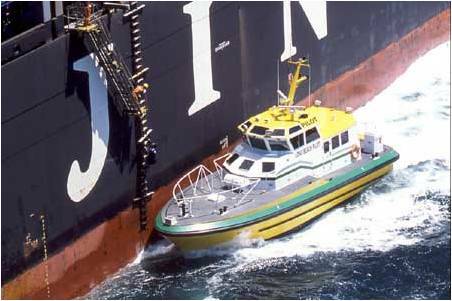 Emmetts Ropes manufactures various rope ladders for different applications and have been making Pilot Ladders and Embarkation Ladders since the beginning. 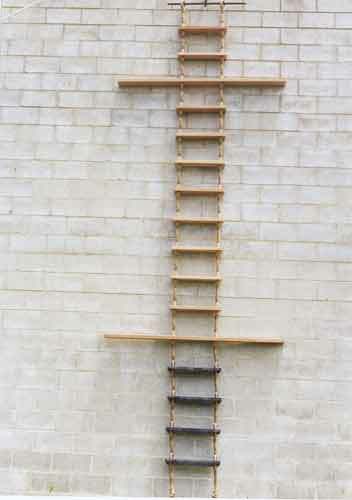 Our first Shipping Ladders were made in the home driveway of the company founder, Bob Emmett back in the early 1970s. Nothing much has changed since then except for we no longer manufacture in the driveway! All of Emmetts Ropes Pilot and Embarkation Ladders are made to A.S.2933-1987 and A.S.2934-1987 respectively. Treads are manufactured from Tasmanian Oak and the entire process is done in-house to ensure the highest level of quality. We only use A Grade Manila rope for the sideropes and manropes. Each tread is hand-lashed into position using tarred marline. If you require a ships ladder or any other ladder, please contact us for a quote.